Custom wedding invitations featuring copper foil on imperial blue card and separate letterpress printed RSVP cards in copper ink to match the main invites. The back of the RSVP cards have the full menu choices for each person to pick. 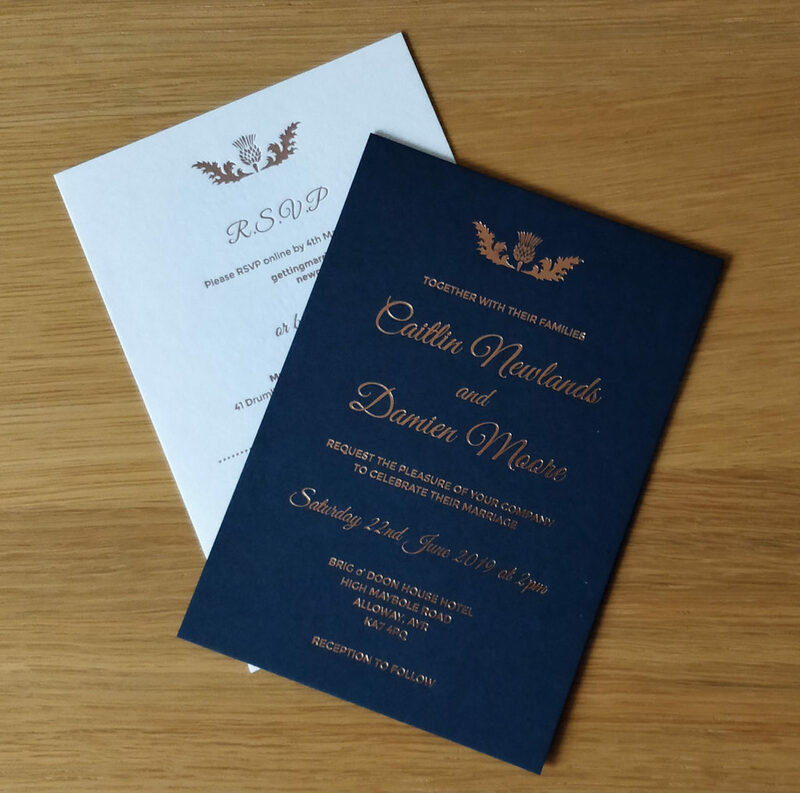 Envelopes were supplied in the same imperial blue paper stock to match the invitations.